24-hour forecast: Cloudy with generally isolated showers and thunderstorms, increasing tonight, especially over the coast and north. General Outlook: Similar trend on Sunday and Sunday night. Today E-SE 10-20 kts Moderate-Rough 6-8 ft GENERALLY ISOLATED SHOWERS AND THUNDERSTORMS. Tonight E-SE 15-25 kts Rough 6-9 ft A FEW SHOWERS AND ISOLATED THUNDERSTORMS. Tomorrow E-SE 10-20 kts Moderate-Rough 6-8 ft GENERALLY ISOLATED SHOWERS AND THUNDERSTORMS. 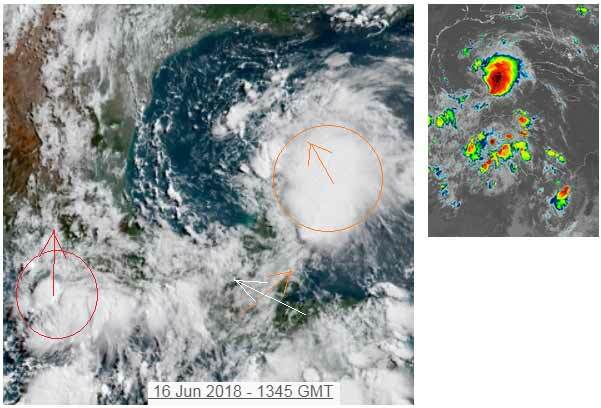 A large area of disorganized showers and thunderstorms over the northwestern Caribbean Sea and the Yucatan Peninsula supported at upper-levels by a diffluent flow. Scattered showers and tstms are also seen over the west Caribbean south of 18N and west of 81W. Two tropical waves are moving westward across the basin. Please, see the Tropical Wave section above for details. Recent scatterometer data provided observations of fresh winds across the central Caribbean, with seas of 10-11 ft. The aerial extent of these winds, roughly between 73W and 81W, will slightly diminish this weekend. However, fresh to strong winds will prevail across the Gulf of Honduras and the NW Caribbean over the next couple of days. There is still rain to the north of Belize, but very little in Belize. I believe there is a possible storm developing. The hurricane centre have listed 3 Invests, and all were not, in the slightest way, the start of a storm. This one in the Gulf, they have not listed. There is now a 3rd storm starting in the Pacific, close to Mexico, red circle, which they have listed, now as, TROPICAL STORM CARLOTTA. 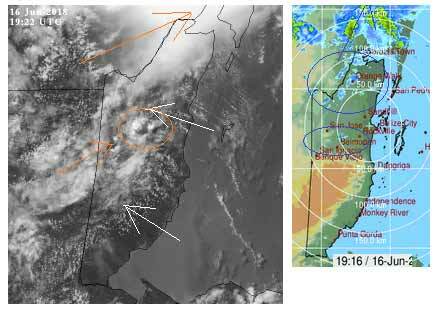 There are a lot of small swellups all around Belize, various lines and patches of Caribbean cloud from the SE and high level from the SW, these could result in patches of rain later today. Looks like today will be variable, cloudy, patches of sun, and possible rain showers later. The Cloud and Rain picture. 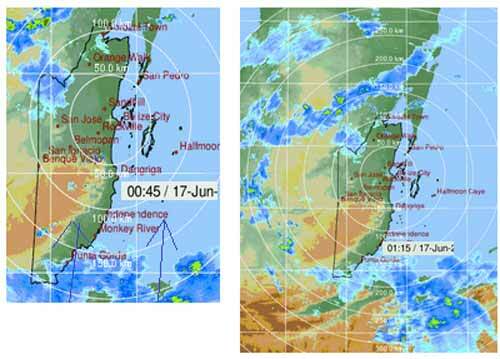 There is continuation of rain developing north of Belize and also in some north parts of Belize. Although it is moving away, new rain develops. 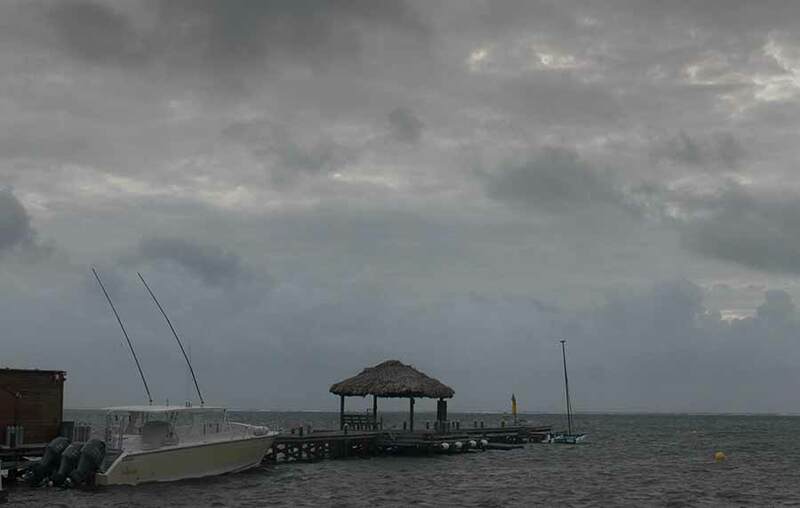 Some now developing in central Belize, could be more rain later. Rain moving in from the south over night. 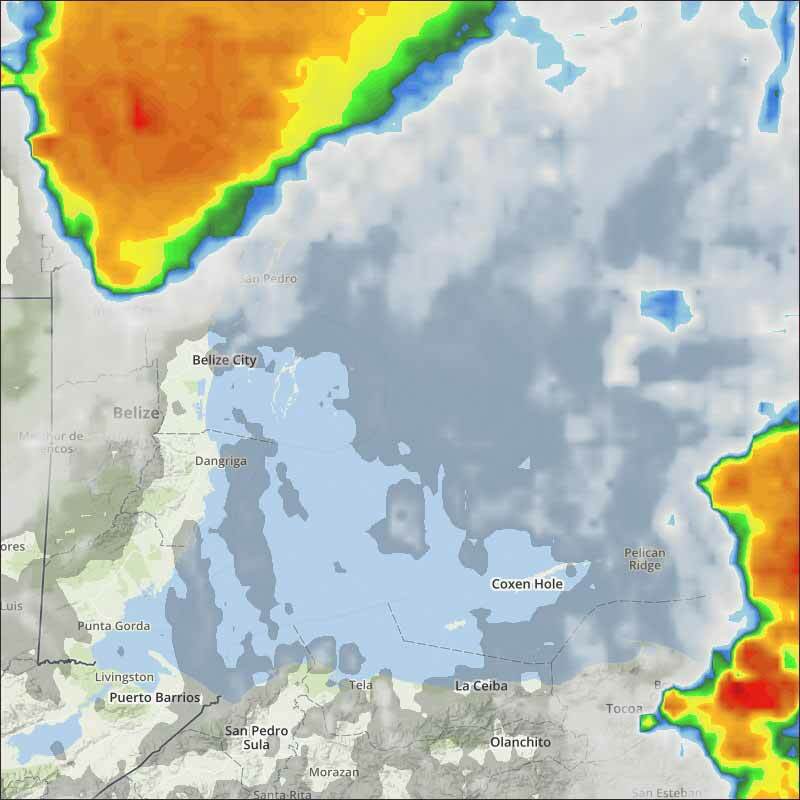 Actually, although it is moving up from the south, it appears to stop raining as it gets up into Belize.